Love them or hate them, there's no denying the pop culture impact The Simpsons has had on our modern day life--from catch phrases to a whole newly-dry American humour that really packs a punch. 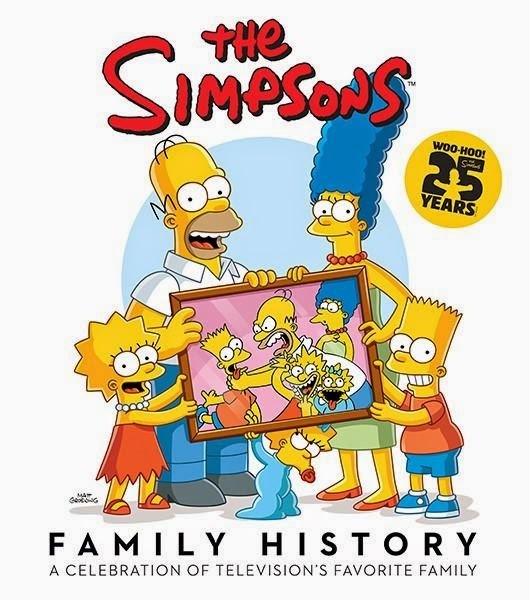 In this comprehensive compendium, the Simpsons celebrate 25 years (which in itself is more than extraordinary) of family fun with a well-designed peek into the funniest and most memorable moments from the past quarter-century. Unlike other The Simpsons tomes, this one has a strong image focus, with full page illustrations and masses of saturated colour. Wordage is low and features a line-up of classic quotes and moments that will have fans fully engaged and chuckling. A must-collect for The Simpsons die-hard.